My job as a graphic and web designer means I spend a lot of time digitally creating. Sometimes it’s fun to step back and design something just for me and not for a client. The birthday cards I designed earlier this year had such a good review from about.com I thought it was time for another set…this time something seasonal … welcome four Halloween cards. 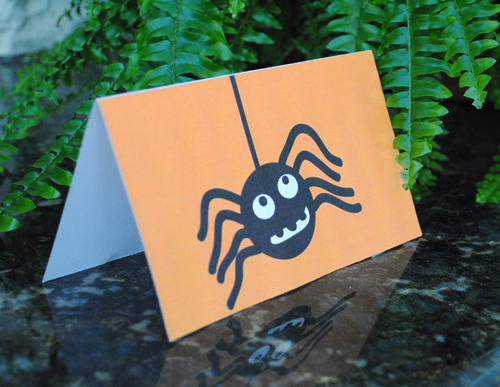 You can download these free cards, print them out on some good quality card stock and hey presto a free scary card. Click the image you’d like, for a printable pdf … complete with crop lines. 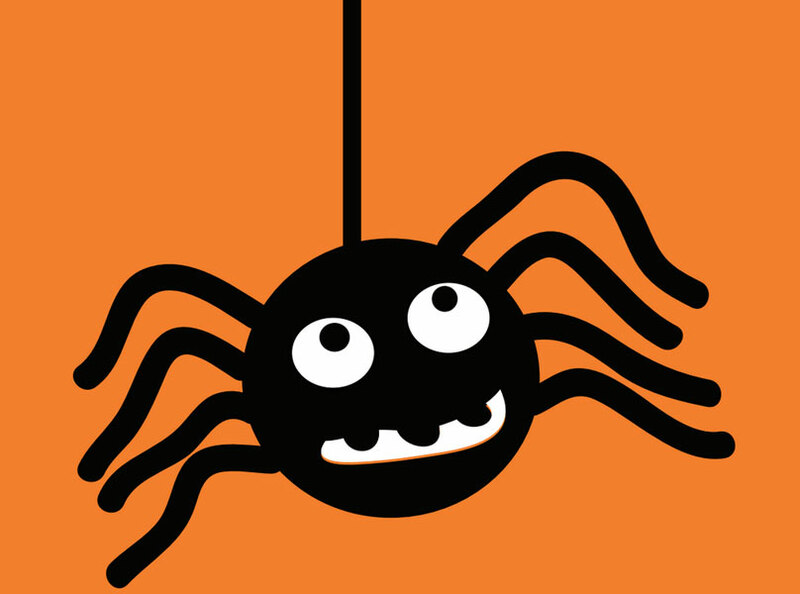 This entry was posted in Celebrate in Style, FREE, Halloween, Paper, Printables. Bookmark the permalink. These are cute! I saved them, but if I use them it won't be as cards. I'm thinking a 4 part frame (if that makes sense). Thanks. Your cards are fantastic – I like them ALL! I WILL be using these as cards. I have decided to begin sending the young people in my life cards for all the minor holidays now that my mother and grandmother, who always did this, have passed away. WHEW! THAT could get pricey fast! THANK YOU for these adorable cards!! Glad to save you a few pennies!